The latest opus in the acclaimed STORM series is taking you on a colorful and breathtaking ride. 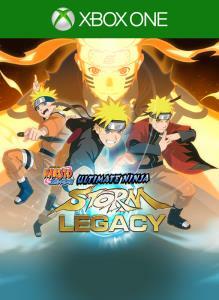 Take advantage of the totally revamped battle system and prepare to dive into the most epic fights you’ve ever seen in the NARUTO SHIPPUDEN™: Ultimate Ninja® STORM series! 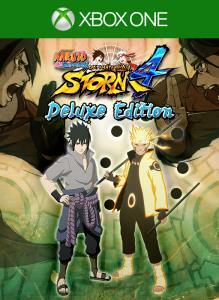 In NARUTO SHIPPUDEN™: Ultimate Ninja® STORM 4, a broad set of Ninja Skills will be yours to use against the fiercest foes you’ll ever encounter. Massive attacks in the form of secret techniques, energetic evolutions with the “Awakening”, the inimitable shurikens & kunais and a unique playstyle for each ninja! Prepare for the most awaited STORM game ever created! 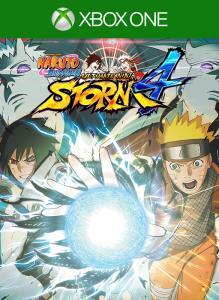 NARUTO SHIPPUDEN™: Ultimate Ninja® STORM 4 - Deluxe Edition includes: NARUTO SHIPPUDEN™: Ultimate Ninja® STORM 4 full game and all additional content eligible to the season pass. 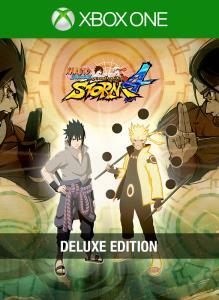 Pre-order NARUTO SHIPPUDEN™: Ultimate Ninja® STORM 4 - Deluxe Edition and get access to a set of exclusive rewards including: Boruto and Sarada playable characters and Kakashi in his hokage outfit. Prepare for the best STORM game ever created! 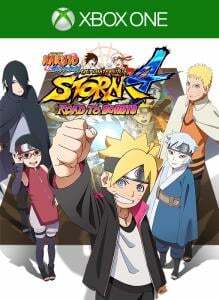 Pre-order NARUTO SHIPPUDEN™: Ultimate Ninja® STORM 4 and get access to a set of exclusive rewards including: Boruto and Sarada playable characters and Kakashi in his hokage outfit. Prepare for the most awaited STORM game ever created!